This monograph covers the full scope of Impressionist painting. 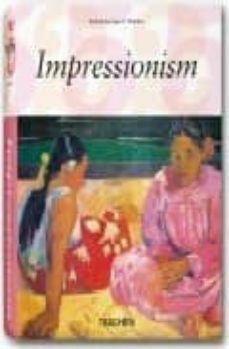 It outlines the history of Impressionism in France, addressing not only the work of the acknowledged masters, but also that of such unjustly neglected artists as Bazille, Caillebotte, Berthe Morisot or Lucien Pissarro. The monograph also examines the Impressionist movements that emerged in the Netherlands, Belgium, Germany, Scandinavia, Eastern and South-East Europe, Italy, Spain, Britain and North America. A 64-page "Directory of Impressionism" is appended, containing bibliographies, portraits and biographical data on all 236 artists.